Jacksonville, Florida, residents can file for divorce with the clerk of the circuit court of Duval county as long as one of the parties--the husband or the wife--has lived in the county and the state for six continuous months prior to the action being filed. If both parties are in agreement concerning marital issues such as division of property and child support, they can file an uncontested petition for dissolution of marriage and have their divorce finalized in approximately 30 days. Prepare the paperwork for the divorce. The Florida state court system has a self-help website where you can download standardized divorce forms such as the Petition for Simplified Dissolution of Marriage along with instructions regarding filing them out properly. Make certain to put Duval as the county where the divorce will be filed. In addition to the petition, you will need to prepare a marital settlement agreement (telling the court the agreements you have reached jointly), a family law financial affidavit (for each party) and a final judgment (for the judge to sign at the final hearing). Sign the documents in front of a notary public. Some of the documents will need to be signed by both parties, and some will need to be signed by only one party. If you are unable to find a notary public, it is acceptable for both parties to sign the petition in front of the Duvall County clerk. Take the original and one copy of all the documents down to the clerk of the circuit court of Duval County's Family Law Division, located in Room 103 at the Duval County Courthouse at 330 East Bay St. in Jacksonville. Tell the clerk you need to file a new divorce action. Pay the filing fee of $401 to open the action. Show the clerk your diver's license or other proof of residency. The clerk will assign your case a number and stamp the documents as received and filed. Ask the clerk to also stamp your copies of the documents you are filing and keep them for your records. Call the clerk 20 days after you file your paperwork and ask to schedule a final hearing in front of a judge. Take the final decree with you to the final hearing. The judge will sign this if he agrees to grant your divorce. Fahy, Janice. "How to File for a Divorce in Jacksonville, Florida." 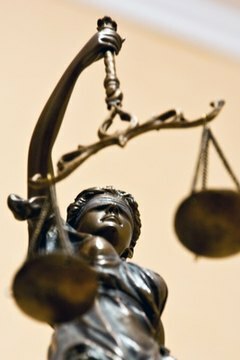 , https://legalbeagle.com/6386184-file-divorce-jacksonville-florida.html. Accessed 21 April 2019.